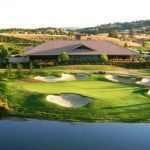 Greenhorn Creek Resort Golf Course is located in Northern California in the beautiful Sierra Nevadas. Designed by Robert Trent Jones II, this 18 hole golf course contains five sets of tees ranging from 4,882 to 6,749 yards. Greenhorn Creek Resort Golf Course also has a Golf Academy managed by PGA Professional, Chris Borrego, with assistance from PGA Apprentice Professional, Allan Ramorini. Together they have 25 years of golf instruction experience. For more information on the types of lessons, please call (209) 729-8111. 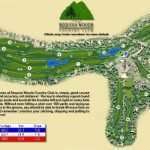 One option for golfing at Greenhorn Creek Resort Golf Course is Play the Creek’s. 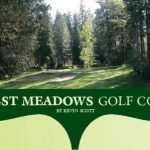 This package gets you two rounds of Golf, One at Greenhorn Creek and One at Saddle Creek, , lodging in their luxurious lodge bungalows or at the Greenhorn Creek Cottages, and unlimited use of the Sports Club. Prices for this are $125 for mid week and $155 for weekends. Because there are so many services offered at Greenhorn Creek Resort Golf Course, there are many important people that work to pull everything together. The following are the telephone numbers of the people in charge of particular services.